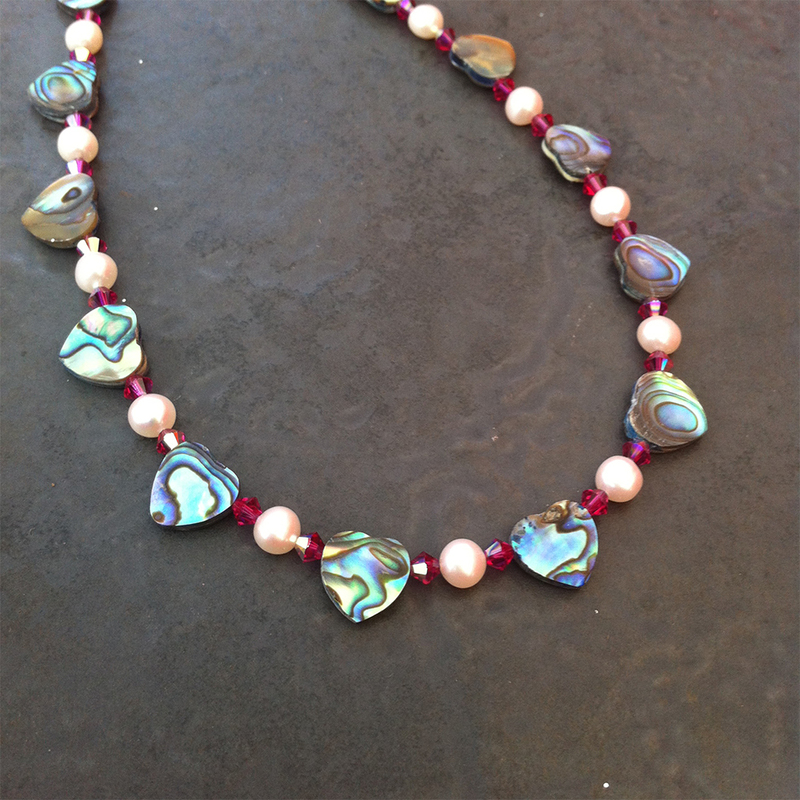 This beautiful necklace combines the iridescence of paua shell, the twinkle of swarovski crystals and the lustre of freshwater pearls. It has a lobster catch and extension chain meaning you can vary the length depending on what you are wearing. 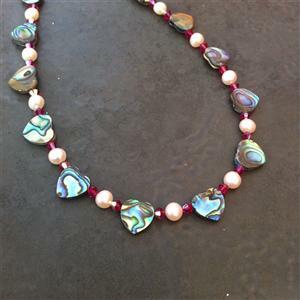 You are able to select different paua shell shapes, the length of the chain and the colour of the Swarovski crystals by using the options in the personalisation tab. FREE UK delivery. Your item will be delivered using 1st class Royal Mail and will be dispatched within 7 days as your item will be handmade to order.